Custom printed tiles are also one of the easiest ways to add personalised features to your swimming pool. A pool constructed with unique tiles lends an air of luxury to your yard and home. Unique pool tiles is a modern design trend, with custom printed tiles creating the most aesthetically pleasing swimming pools. Digitally printed tiles offer an affordable way to add any type of pattern or colour to your swimming pool. Custom tiles allow you to choose designs and colours based on your personal preference and create the ambience you desire in and around your swimming pool. For instance, blue is the most common colour used for pool tiles, but rich, colourful tile murals and mosaics are becoming more popular these days. Personalised swimming pool tiles can be made into decorative waterline tiles, alluring wall or bottom mosaics or tile murals, and more. These tiles offer functionality as well as beauty. The possibilities are unlimited when it comes to what you can create with UniqueTiles. We’ll help you bring the pool of your dreams into reality. 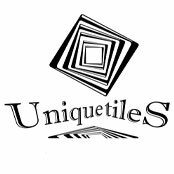 UniqueTiles offers full customer service to help you design, visualise and bring the pool of your dreams to reality. Your satisfaction is our goal when helping you create the ultimate swimming pool with your design. UniqueTiles offers custom tiles that can be manufactured with your personalised images. We provide free consultation when it comes to designing your unique swimming pool tiles. You can send your image directly to us through the contact form available on our site, along with your pool’s dimensions, where you’d like your design placed and what size of tiles you’d like to use. We accept a variety of file formats that you can send to us, including TIFF, RAW, JPG, JPEG, PSD. Your image can be enlarged, if necessary, and will retain its clarity and proportions. After receiving your image, our professional designers will work with your design to achieve your vision. When it’s ready, we’ll email you with the design as an email attachment; then you can see how the design will potentially look. Not only that, but you can request a sample tile to see the actual colours and the image on the tile. We’ll work with you until the design is as incredible as your imagination. 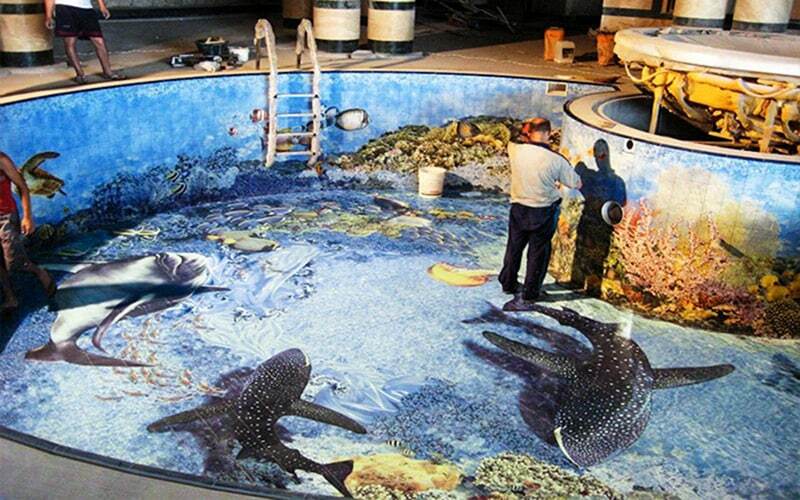 Have you considered using digitally printed tiles to personalise your pool? Many swimming pool tile companies offer you a selection of pre-designed tiles; however, UniqueTiles offers to help you create a bespoke, customised swimming pool with our digitally printed tiles. With unique tiles, you have unlimited options to create the pool of your dreams. Swimming pools, especially those built with unique swimming pool tiles, create a beautiful statement and add value to your home. Have you considered using digitally printed photo tiles to personalise your pool? Consider the impression you’d like to create in and around your pool. What type of environment do you envision? Do you prefer a natural setting or a more classic swimming pool setting? A more natural design might include a waterline motif of brightly coloured fish swimming around a coral reef. A perfect pool might be done in one colour, such as in shades of blue or even red pool tiles. Would you like to create a spa-like atmosphere with your pool? A spa-like atmosphere could be created with neutral tones such as blues and tans, with peaceful, flowing designs on the walls or bottom of your pool. 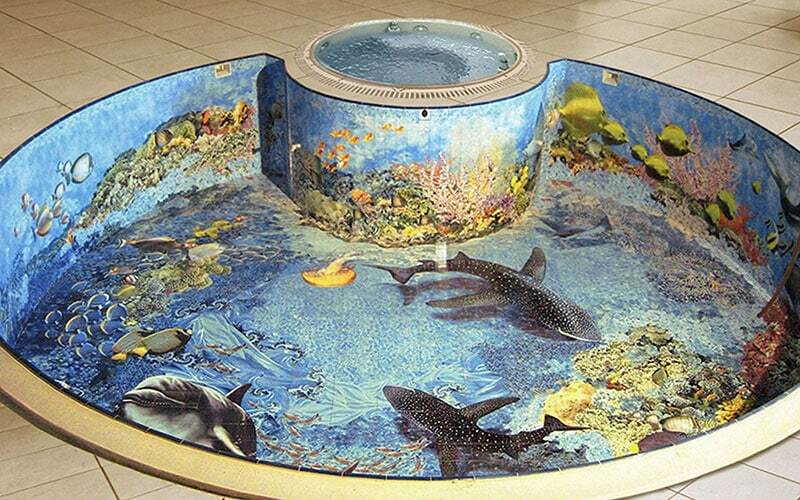 Anything’s possible with custom printed swimming pool tiles. We also provide a free custom tiles visualisation service, which helps turn your project into a visual. This means you can see your project before it’s even completed. The visualisation service allows us to create a plan for your specific pool and your unique design. Our unique pool tiles are custom printed on porcelain body, which is then glazed and kiln fired, after which your personalised image is permanently attached to the tile. Our unique tiles are perfect for commercial or residential pool projects. UniqueTiles provides a professional service, and we’re happy to work with architects, designers, specifiers and you to create an utterly beautiful, unique swimming pool for you. You’ll have a one-of-a-kind swimming pool that offers you a place to relax and enjoy time with family and friends, while also adding to the overall ambience and value of your home. A pool created with custom tiles offers a refreshing and relaxing getaway where you can be alone or spend time with family and friends. Your pool will offer years of lasting beauty and enjoyment with your design or image on our exclusive tiles. Digitally printed bespoke swimming pool tiles offer you the key to building the ultimate swimming pool of your dreams. Not sure what you’d like? Then look for inspiration for swimming pools with unique tile and designs. It may be helpful to review swimming pool and travel sites online, including pool designs on sites such as Pinterest and Instagram. Other sources of inspiration may be literally at your fingertips. Your favourite photos and images, works of art and more can be designed into customised and unique swimming pool tiles. Digitally printed pool tiles can be made into delightful mosaics, murals, avant-garde designs, symmetrical or asymmetrical motifs and large swimming pool tiles. The tiles are anti-slip, so are best used for the wall and bottom areas of your swimming pool. Our custom printed pool tiles come with a 25-year warranty!